03 Oct 11 Q The way I organise my blog I update posts regularly wand want the post recently edited to rise to the top. 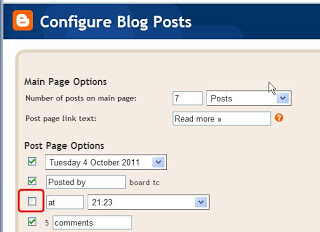 A Select Automatic as blog publish date in the Post Options under post editor – this will force the post to be published as on current date. 03 Oct 11 Q I don’t want the post time to show. 24 Aug 11 Q I want to include a tag cloud image in my blog header. Go to wordle.net pasting in the words, weighted if you want bigger tags. Click on randomize until you are happy with a cloud, you can also change the look on the fly by selecting a different color or font. To resize the image click on Open in Window and resize the window which opens. Then use a screen grabber such as PicPick to save the image. You can also use PicPick to edit the image and overlay any text you might want to write on top. You will need to experiment with the size until it works right on your page. Alternatively if you know the image size which works for you, e.g. I use 340×250 on Skinny Word. Add a header gadget in blogger design, which allows you to load an image instead of title and description. 19 Feb 10 Q WordPress has that nice option to subscribe with your email address, can I do that with Blogger? A It can be done using feedburner, all instructions at tipsbloggers.com. 26 Jan 09 Q How can I add a centred caption under an image ? 22 Jan 09 Q I want to replace the Subscribe to: Posts (Atom) with a feedburner url, e.g. 19 Dec 08 Q My blog has multiple authors, I would like a contributor list, so when a particular author is clicked on, a page opens with their posts. In Layout add the links of the Labels in a Link List gadget: http://MYBLOG.blogspot.com/search/ label/AUTHOR_NAME. Replace the CAPS. Clicking that link will bring up all posts by that author. You can drag and drop the Link List gadget from the posts column to the sidebar. If you have a tag list it will now show authors, the alternative is to add a separate tag list like the authors. Note that this will not dynamically update with new tags. 10 Dec 08 Q I would like to change the order my posts appear in? A Edit the post and you will see a Post options link, where the date can be edited. Posts are shown in date order. 11 Sep 07 Q My blog has multiple authors, how can they all get email notification when the blog is added to? AOne used to have to setup say a a google group for all your email addresses. However, in the BlogSend field in the setting email tab, one can now enter a comma delimited list of email addresses. 19 Sep 07 Q How can one edit a comment? 19 Sep 07 Q When I create html tables they are surrounded by lots of white space. 19 Sep 07 Q How can I force a new line in a html table cell? 19 Sep 07 Q My html code uses css, can I use this in blogger? A Edit your template html on the design tab and add your css commands, I put mine towards the bottom. 20 Sep 07 Q When I edit a post, I select the post options to edit the date and the date always shows in mm/dd/yy format. Is there any way to change this? 20 Sep 07 Q Can I embed a slideshow from flickr? A A slideshow can only be embeded in a post and not a comment. An easy bit of code will do this, see lifehacker. 20 Sep 07 Q When I embed a flickr slideshow the blog margin is too small, can I increase it? A Edit the template, change the #main-wrap1 width and correspondingly the #outer-wrapper width, see betabloggerfordummies. 08 May 08 Q I update my posts sometimes, I want to get rid of the post data and time? A Check out the Trick and Tips Tutorial Blogger How to Hide Your Post Date, Time and/or Author. 11 Sep 07 26 Jan 09 Q How can I get comments to show open under the post? 07 Jan 10 23 Aug 11 Q Someone added a spam comment to my blog, how can I delete it? A To delete any comment in your blog, you have to construct an url of the form: http://www.blogger.com/delete-comment.g?blogID=#blogpostid&postID=#commentid. Read instructions for forming the url on bloggerstop.net. An option to delete comments was added earlier this year.